Straight feed slicer for sausages. Blade Diameter 300 mm. Mod. 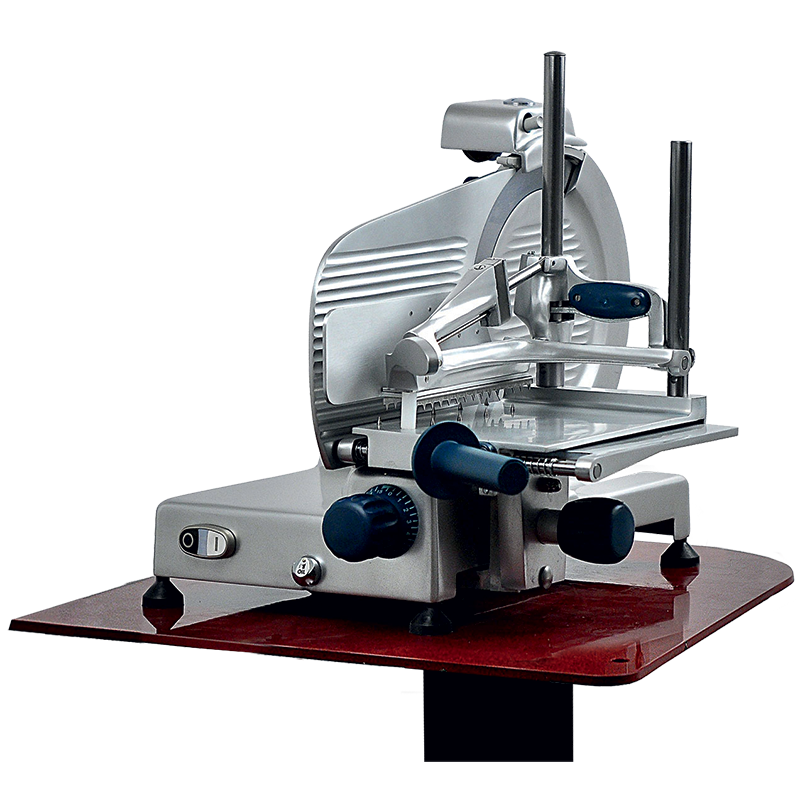 30VE has a double sliding plate and thanks to their special handgrip sliding on columns they is particularly suitable for cutting sausages and cold cuts. Straight feed slicer for sausages. Blade Diameter 300 mm. 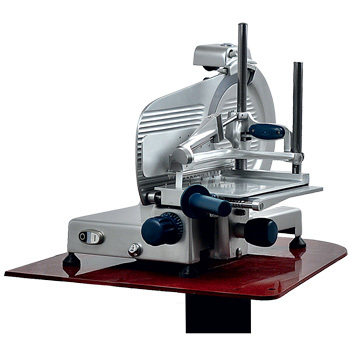 901002 Straight feed slicer for sausages. Blade Diameter 300 mm.